March is Disability Awareness Month across the nation. In Indiana, more than 19 percent of the state’s population are children and adults with disabilities. 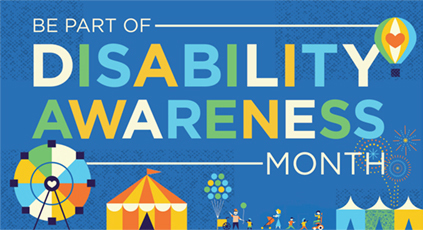 The goal of the month-long observance is to increase awareness of those who have disabilities while also promoting inclusion and independence for all people. This year’s theme is “Love Where You Live,” which is a reminder that everybody has a responsibility to help our communities become vibrant, inclusive places. For more information, visit the website of the Indiana Governor’s Council for People with Disabilities here.